Hiking gear can be as simple or as complicated as you would like it to be. At the most basic level, all you need are good shoes, a backpack and some weather-proof clothes. Teva’s Arrowood line of shoes aren’t bulky and can be worn during hot summer treks. They are waterproof, which is essential when crawling through leech-filled streams of Kerala. Going into the forest is a rite of passage in many ancient cultures and faiths. Hinduism has its “vanaprastha” stage of life, where adults who have finished with their child-rearing duties head into the forest to either take it easy or get killed by wild animals. Today, we willingly go into the forest to confront our mental demons and physical challenges. Lest you think that going into the wild involves simplicity and stripping away all frippery so as to reduce life and living to its essence, let me disabuse you of this notion. Roughing it is an expensive proposition. Just look at how much gear costs. India’s nature community is huge. India has about 10,200 species of birds and at least ten times that many serious bird-watchers who go off into the jungle, armed with equipment to try and spot passerines, raptors and everything in between. To that, add casual tourists, researchers, hikers, trekkers, nature photographers and conservation scientists and the numbers become mind-boggling. Most of us either pick up gear when we travel abroad or depend on the kindness of others in the community. I did this recently when I visited the misty, rain-coated jungles of Kerala and the Western Ghats. Like most obsessive trekkers, I did huge amounts of research to identify the best gear, which I pass along here. Hiking gear can be as simple or as complicated as you would like it to be. At the most basic level, all you need are good shoes, a backpack and some weather-proof clothes. It helps if you can see well, and can walk through streams and puddles, mountains and valleys without your knees buckling. This Swedish company made its name in the transportation sector: bike and car racks, strollers, ski racks and the like. It is no slouch in the hiking area either. While dedicated competitors like Osprey may dominate this segment, Thule’s Versant backpack is as versatile as the name alludes to. Women’s backpacks need to give us women two things: customization and options. You may be a long-limbed Scandivanian gal with a long torso. I happen to be a short-torsoed Indian woman. A good backpack has to make allowances for this. Thule’s version does. You can adjust the shoulder straps and the waist belt for all shapes of woman so that the weight of the backpack is passed on to your waist belt rather than sagging at the shoulders. The other factor has to do with options and choices. This means capacious size combined with pockets. The Versant’s interior is capacious enough to roll up at least ten pieces of clothing. A few more inner compartments for inner wear wouldn’t have hurt, but that would mean sacrificing space. The top lid of the backpack can be unhooked and converts into a smaller daypack for summit climbs or just an ordinary day at the beach. A tarpaulin-type stormguard is stashed in the front pocket. It can be removed at pulled over the backpack in case the monsoon hits as you hike. The water bottle is accessible even if the storm cover is on. The only problem is that it is angled in such a way as to have the water bottle fall over if you bend, even just a little. Then again, this is a problem in most backpacks. Ultimately, the measure of a backpack is how it feels over the course of several hours of uphill climbling. In this aspect, the Thule Versant scores thanks to its combination of adjustable everything: shoulder straps, waist belt and chest belt. You feel the weight but it fits snugly and comfortably at the waist. Every large Indian metropolis has an avid hiking community. For proof, simply go to Indiahikes.com for a list of the top ten treks in India, along with a variety of day hikes depending upon your location. A Bangalore naturalist recommended Teva, not for its shoes but for its open-toed sandals, which make sense in rainy, misty, hot Indian hills. 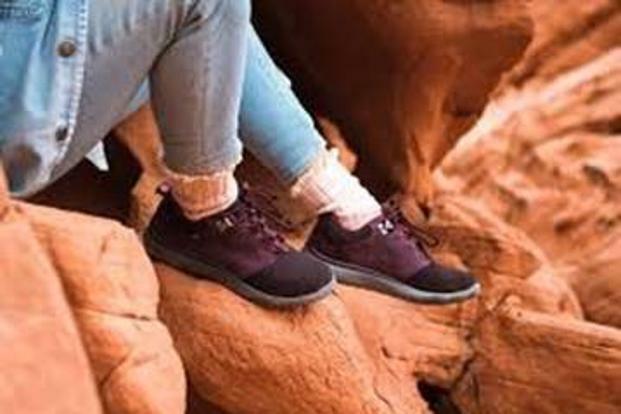 As sturdy as hiking shoes but more comfortable, particularly for Indians who are used to walking barefoot and wearing minimal layers, Teva’s hiking sandals are a great option for mild day hikes. Prone to twisting my ankles, I needed something sturdier and so I went to their hiking guide for shoes to look at options. One of their more popular lines is the versatile Arrowood, which, like a Little Black Dress (LBD) switches seamlessly through multiple environments. The Arrowood line of shoes aren’t bulky and can be worn during hot summer treks. They are waterproof, which is essential when crawling through leech-filled streams of Kerala. They give even the most tentative and clumsy hiker enough purchase on rocks and boulders, even the mildly wet ones that I encountered in the Western Ghats. Most importantly, they look good enough to wear with a pair of pants through a shopping mall, essential when you want to travel with just the one pair of shoes that you are wearing. Teva boots are available for $129 at its website here and other sports and online retailers. This hoary Italian brand that supplied mountaineering boots for Italian soldiers during World War II has been supplying boots and clogs to athletes, workers and farmers since 1928. Today, all kinds of climbers—from mountain to ice—wear La Sportiva shoes. I took these shoes on a trip to Iceland. They served me well. I wore ice crampons under them to walk on glaciers. The insulation was decent albeit with a pair of snug alpine socks. In terms of mountaineering—hmm, how do I put this? Let’s just say that if you are a city-bred Indian who fancies herself a mountaineer and wants to try out a lower Himalayan trek, these would have all the technical heft while being lightweight enough for a novice climber. If you want to do serious ice-climbing that involves high altitudes, glaciers and crevasses, you will want shoes that are sturdier and more insulated. Did I say that these were lightweight? That is their boon and—for serious climbing—their bane. Try their Evo line for snow and ice. The nicely named Karakoram is an alternative to this one. La Sportiva Trango is available for $132.00 at its website and other retailers. What kind of clothes make sense while hiking in relatively salubrious weather as in India? We don’t get snow south of the Himalayas. What we have to contend with are wind, rain and early morning cold. Of the lot, rain is the hardest to beat because you don’t want to be carrying an umbrella as you traipse through the forest in search of that elusive flycatcher. Ergo, rain proof clothes that serve to keep you warm when it is raining outside. Raincoats are a dime a dozen. Now, a category of clothes that marry the stretchability and portability that hiking requires with the rain-slicking ability of good rainwear has taken root, mostly in Europe and the US. Outdoor Research is one of those brands. With a name like Outdoor Research, a “physicist turned outdoor adventurer” founder, and an “infinite guarantee” (which means forever), you expect great things from this brand’s clothes. For the most part, they succeed. The best part of the Helium rain jacket is that it can be folded into its own pocket. You can clip it on to your backpack and you are ready to confront, hail, sleet or rain. The brand pegs it as waterproof, breathable and stretchable. I experienced this first hand when I was clambering up a dusty forest path in pouring rain, grabbing on to branches and trees en route to prevent myself from sliding down. The jacket kept out the rain. The wind was harder to manage because the head covering was not tight and kept blowing down. Once I covered the “hat” in the head poncho with a scarf, I was snug and warm. The jacket held its own for half hour till I began to feel a tinge of wetness. That said, it is a versatile jacket that, given its tiny size, you don’t have an excuse for not carrying, not even to Mumbai during the monsoon. 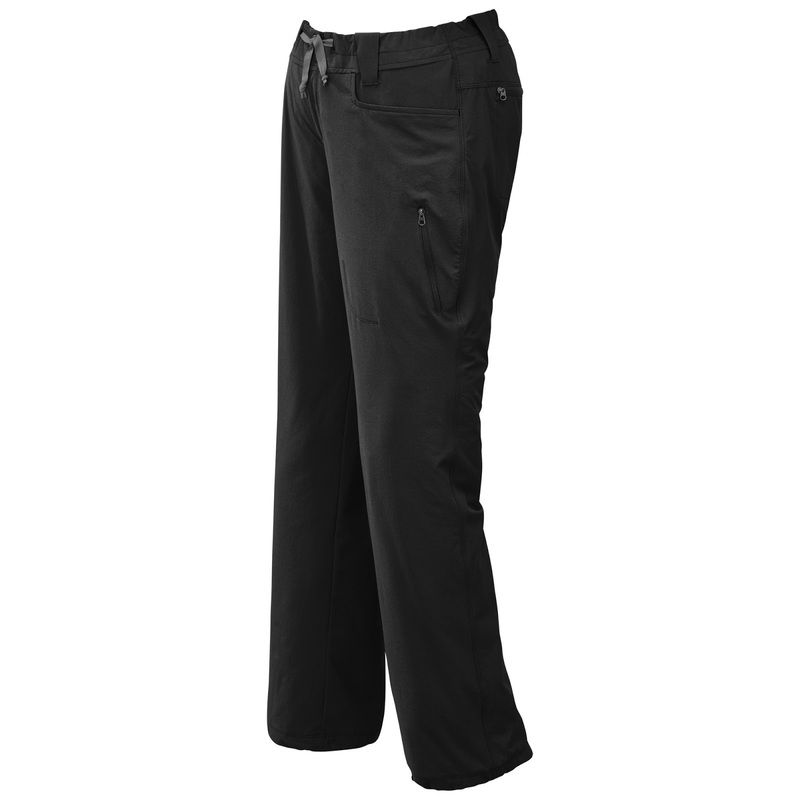 Outdoor Research’s Ferrosi line of pants, are bestsellers for a reason. Compared to their other pants that are specific for snow or cold, these are their “pants for all seasons”. One of their bestsellers features a “convertible” hiking pants that zips off to become a pair of shorts—very useful in hot weather hikes. The one I tried out was their full length Ferrosi pants. I liked these pants because they were actually tailored like a pant instead of shapeless like exercise wear. These pants had a proper belt section and were shaped like dress pants. They also stretch and are well stitched so that they don’t rip when you are squatting on a rock with legs stretched as far as they can go. Breathability is a big deal in outdoor wear. As someone who doesn’t sweat that much, this feature does nothing for me, but hey, there you have it. 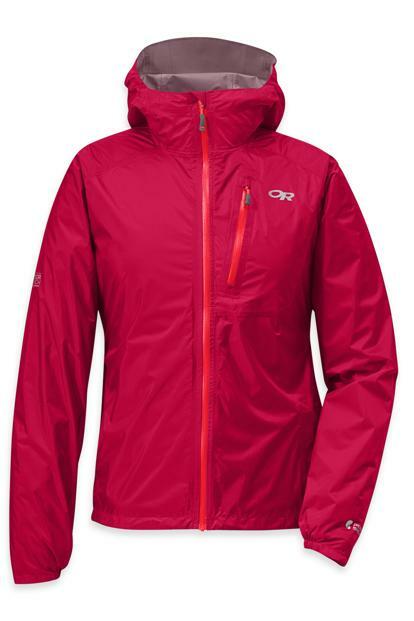 Women’s Helium II Jacket and Ferrosi pants are available for $159 and $75 respectively from Outdoor Research.